‘Nea Guinea’ is a non-profit organization (NPO) that was initiated in 2009 with the main objective of re-appropriating our everyday needs in terms of food, health, energy, shelter and clothing. 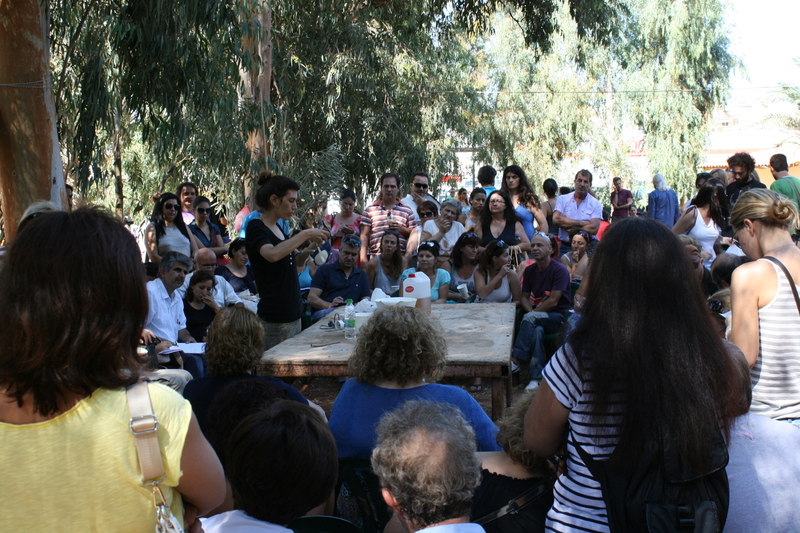 Since then, the organization has been operating a number of projects developing different alternative practices and techniques on the previously mentioned subjects and also has been promoting these practices as tools for increasing self-sufficiency and resilience of people and communities in Greece. 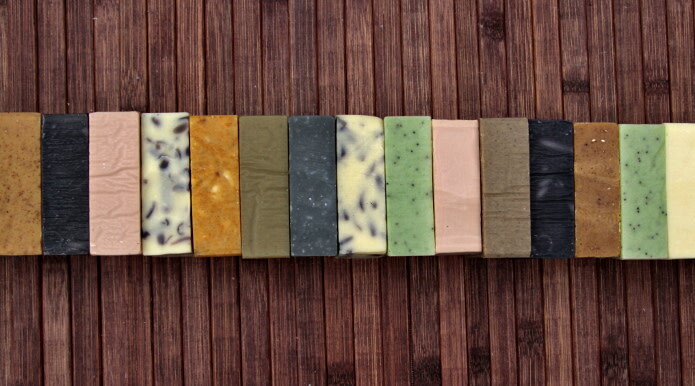 Our projects aim to inform, educate, encourage and support people in redefining their basic everyday practices and getting actively involved in different production processes in order to cover these needs, based on their individual or collective knowledge and their local resources, thus becoming less depended on the goods and services of the global industrial market. Nea Guinea has been developing educational courses and activities aimed at appropriating and evolving the necessary skills and knowledge that will enable course participants to get actively involved in production processes, and thus increasing the level of self-sufficiency and autonomy in their every day lives. Through theoretical and practical workshops, the participants experience a process of observing, researching, experimenting, working in groups and sharing skills and experiences, that gives them the opportunity to become familiar with the ideas of self-management and acquire a pragmatic connection to the subject they are involved with by developing the corresponding necessary skills. Health: Herbal medicine, Reflexology, Thai massage, Ayurvedic massage , Hatha Yoga (beginner and advanced), Asthanga Vinyasa (beginner and advanced), Τai chi chuan. Food: Organic farming (sustainable agriculture practices), Vegan cooking, Collection of wild mushrooms and cultivation of mushrooms. Energy: Construction of small wind turbines from 350W to 1.5kW. Shelter: Natural building and bio-climatic architecture . Clothing: Cutting patterns and sawing for the construction of clothes, Knitting, Sawing for the construction of functional objects. Health: Herbal medicine, Reflexology, Ayurvedic massage, Traditional Chinese medicine, Ayurvedic medicine and nutrition, Advanced techniques in Thai massage, Yin Yoga, Aromatherapy, Self-acupuncture, Flower therapy (Bach flowers), Reflexology and su jok, Natural cosmetics and soap making. Food: Urban farming, Food processing (bread, doughs, sweet preserves etc. ), Home brewing of beer. Energy: Construction of small hydro generators, Construction of photovoltaic panels, Construction of solar ovens, Theory of small wind turbine design and operation, Sizing and installation of hybrid (solar, wind ,hydro) off-grid systems, Construction of small wind turbines 850W to 2.5kW for the electrification of a farm house. Shelter: Construction of compost toilet, Construction of a straw bale warehouse of 20m2, Construction of an earth oven with the use of the cob technique. Clothing: Special techniques for sawing and knitting for the construction of functional objects and clothes. 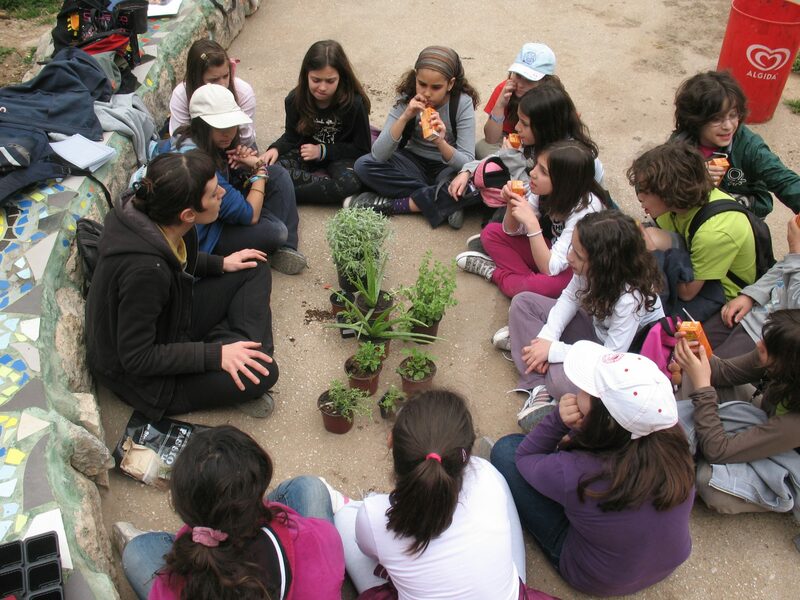 Health: Practical workshops on making herbal remedies, Building herb gardens and yoga classes. Food: Practical workshops on making seedlings, Creating vegetable gardens, Prepossessing food and seed saving. 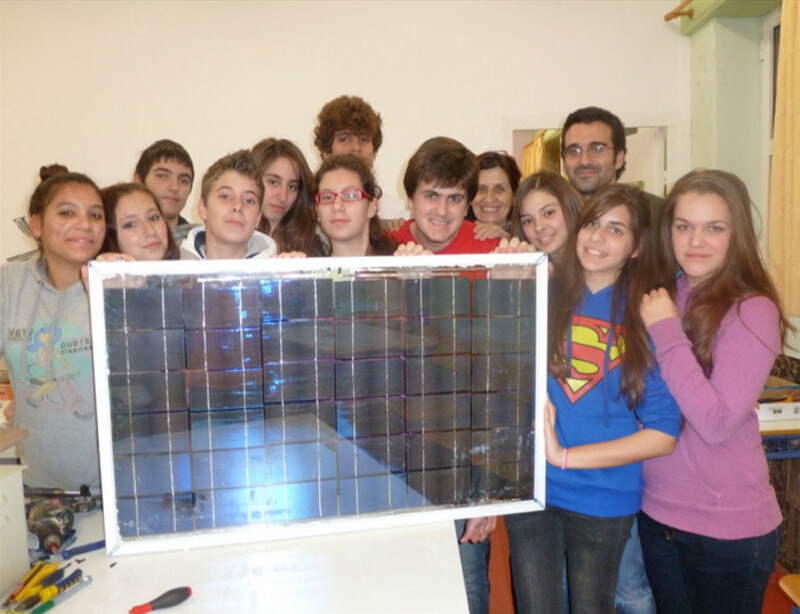 Energy: Practical workshops on the construction of small wind turbines and photovoltaic panels. The organization is currently working on an edible and medicinal plants database in Greek that will be providing information on plant identification, properties, usages, cultivation and propagation details. Health: Nea Guinea has published a 50 page brochure with texts on alternative health and healing, small herb monographs, herbal medicine recipes and processing techniques. These brochures are distributed on a donation basis at social centers, festivals and during the courses. In addition, we are currently working on a larger edition on herbal medicine. Food: We are currently working on a book on sustainable small scale farming that will be providing concise practical information that readers can directly up into practice for building and maintaining vegetable gardens based on organic and sustainable practices. Energy: We have translated the ‘Wind turbine recipe book’ by Hugh Piggott, a manual for the construction of small wind turbines and we are currently working on a manual for the construction of small hydro turbines. Drogeria: a working group involved with the production of herbal remedies, that is also providing herbal medicine consultations free of charge. Healing space: a working group that consists of natural healers that offer therapeutic sessions at a very low price. Energy consulting group: a group that offers advice to people or collectives that intend to install and use off-grid renewable energy systems. Off-grid installation group: a working group that designs and installs renewable energy system infrastructure for solidarity projects. 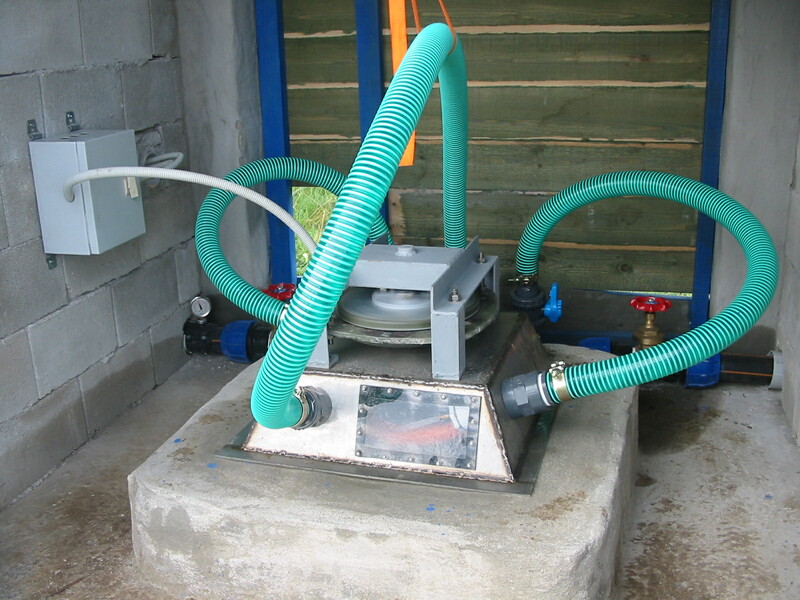 Small hydroelectric plant: Nea Guinea has developed an open source hybrid design for producing electricity from running water and has installed one such prototype in a rural farm in Greece. Nea Guinea has been very active in raising awareness on contemporary social and ecological issues and also promoting the building of alternatives and opposition to destructive policies, through community-based initiatives. 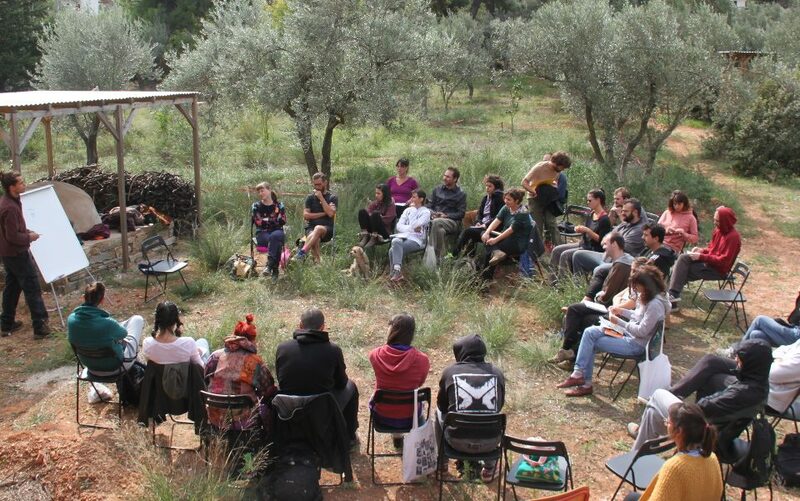 Our activities have been greatly focused on the dissemination of the ideas of re-appropriation of everyday life, embracing the core concepts of degrowth, localization and sustainability, as well as promoting different practices for increasing self-reliance and resilience of people and communities. 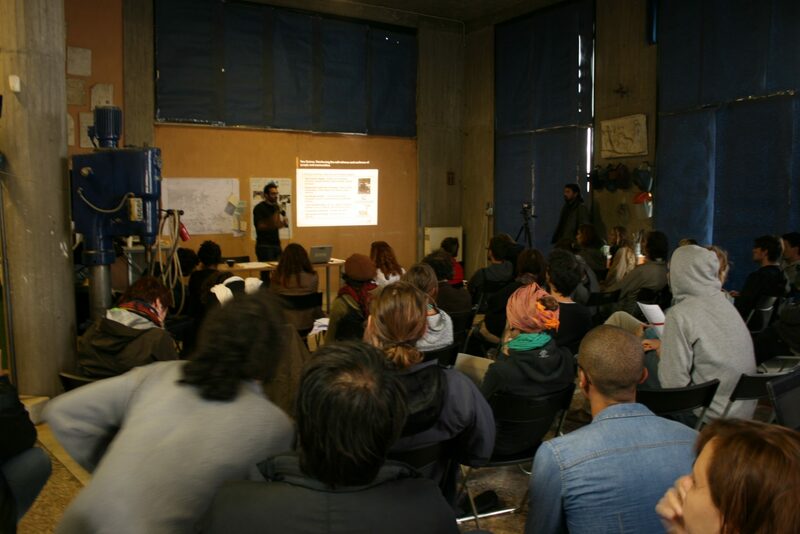 Our action includes the organization of open informative events, presentations and practical workshops in social centers, schools and universities as well as the participation in or co-organization of eco-festivals. During these events, a wide variety of practices are demonstrated while printed documents such as brochures and flyers are distributed. Health: informative talks on alternative approaches to health and healing, presentations of herbal medicine as a tool for self-managing health in everyday life, practical workshops on planting and propagating herbs, building herb gardens and preparing herbal remedies, free distribution of seeds and seedlings of medicinal herbs. Food: informative talks on social and environmental issues related to food, presentations of urban farming, practical workshops on planting, seed saving and possessing food. Energy: Informative talks on social and environmental issues related to energy production, presentations of off grid renewable energy systems, practical workshops of constructing of solar panels. Clothing: Practical demonstration of different sawing and knitting techniques. Further more, Nea Guinea undertakes the translation and editing of documents around topics such as of food sovereignty, degrowth, transition, etc. and is currently working on the creation of an online library. One of the organization’s main focuses has been the enhancement of community and creative interaction between people and groups involved in the different projects of Nea Guinea and also the promotion of networking between different projects and initiatives that share similar ideas and practices with us. Our organization has been participating and supporting different initiatives for the creation of cooperative schemes and the reinforcement of social solidarity networks locally (in the city of Athens) as well as nationally (throughout Greece). 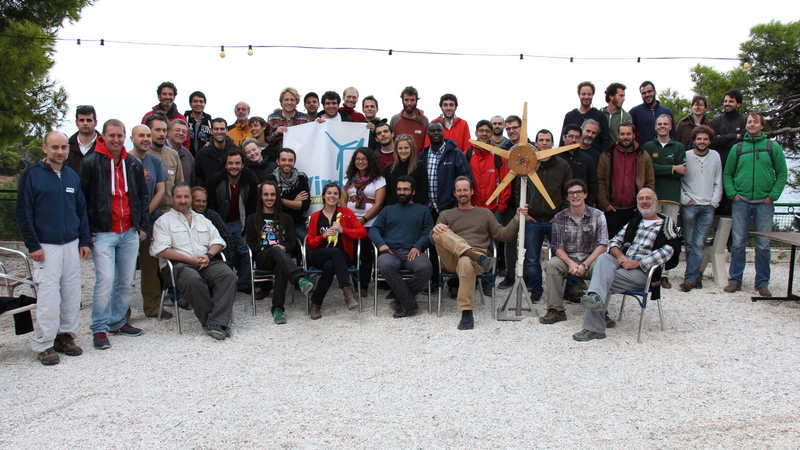 Nea Guinea also participates in conferences such as the Degrowth conference in Europe with practical workshops or presentations and also has co-organized with the National Technical University of Athens the 2nd Wind Empowerment conference in Athens in November 2014, on the topic of locally manufactured small wind turbines. 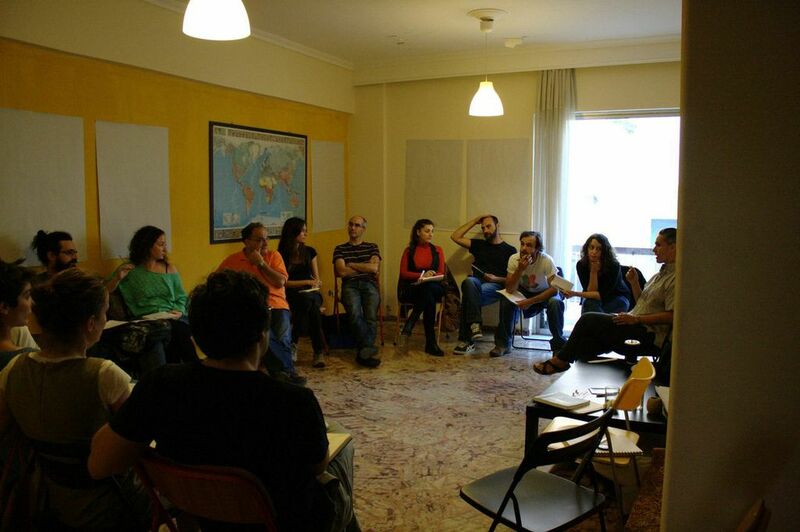 From 2009 to 2013 the Nea Guinea NPO was based in a 200m2 two floor building in a neighborhood close to the center of Athens. This was where most of the activities mentioned previously were taking place. Apart from the classrooms and the workshops, there was a roof-top vegetable and herb garden of 30m2 that was cultivated all year round, a seed bank for vegetables and herbs, a library, an alternative therapies space, a small solidarity economy shop with products from small farmers and working cooperatives, a clothes exchange area, and an open space for events, meetings and projections which was electrified by a small solar installation on the rooftop. 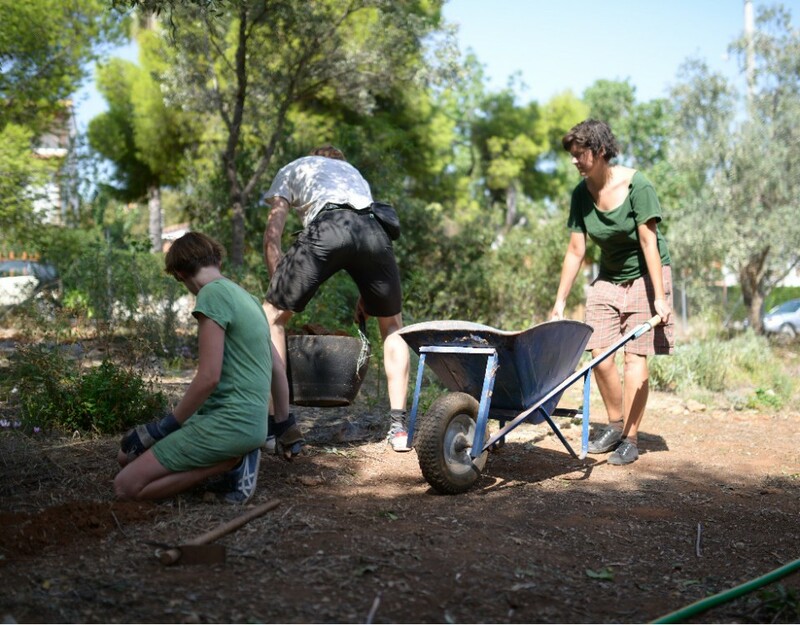 In 2012, the organization started working on the creation of a rurban educational center in the outskirts of Athens in Nea Makri, aiming at developing a living example and a point of reference for the people that intend to make the transition to rural or rurban life. For this project we were offered a field of 0. 35 hectares without rent and a house of 90m2 at a relatively low rent. Since then we have progressively installed vegetable and herb gardens, fruit trees and natural building constructions. In the summer of 2013 the Nea Guinea NPO moved to this site and is operating from there. During 2014, we have also renovated the house and converted it into a place that could host classes and seminars, as well as provide accommodation for course participants and volunteers. Nea Guinea was founded by Fotini and Kostas that are responsible for the management of the project and its activities in total and carry the highest level of commitment towards the project. The number of people that have been actively involved in designing and implementing projects in Nea Guinea has been varying from 5-20, with each person engaging in a different level of commitment towards the project. All people who have been working for Nea Guinea are either professionals in their field, usually with previous teaching experience, or are people who have practiced the subject for many years and thus have gained adequate practical experience to organize a workshop. People who work for Nea Guinea contribute to the project in many ways such as delivering lessons and seminars, organizing working groups and side projects of the workshops, performing therapies, performing secretarial work (mailing list management, organization of participants, managing blogs, forums etc), performing graphic design (posters, flyers etc) and managing multimedia (photos, video etc), translating articles, cleaning the spaces of the center, participating in the ‘Drogeria’ working group, participating in the off-grid construction and installation team, originating awareness raising events and many more. In the cases that the necessary skills to perform a task do not exist within the project, we cooperate with professionals (e.g. web page, editing of translations, pagination etc). The amount of work is huge and a major part of it is preformed by all of us on a voluntary basis. The financial income generated by the activities of the project can only cover the hours of delivering lessons or seminars (about 25% of the total working hours dedicated to the project) that are compensated with a symbolic amount for payment. One of our main aims at the moment is the development and completion of the rurban educational center in the outskirts of Athens. This project has already been running for 2 years and during this time a lot of people have been contributing their time and energy to make it happen. 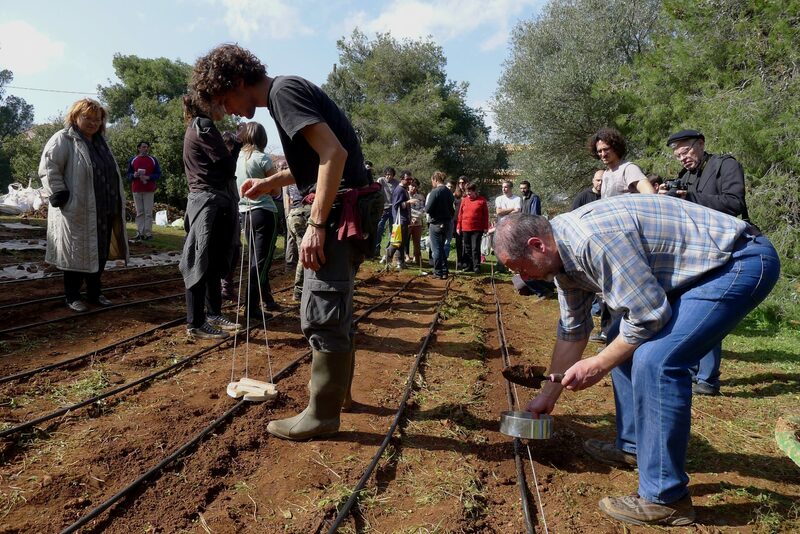 Developing educational activities that aim at introducing the principles and practices of organic farming and encouraging the participants in getting actively involved in production processes. Raising awareness on contemporary social and ecological issues related to food production. Promoting practices that people can adopt in their everyday life for the reduction of their ecological foot print. Establishing new connections between the people and their local environment. Establishing new relationships among the people involved thus promoting a sense of community. Promoting the cooperation between people of different ages and nationalities and their active participation in cultural and educational activities. Promoting organic farming as a tool for the qualitative upgrading of every day life while focusing on the high nutritional value of the produced vegetables and fruits and also at the therapeutic value of the process itself. 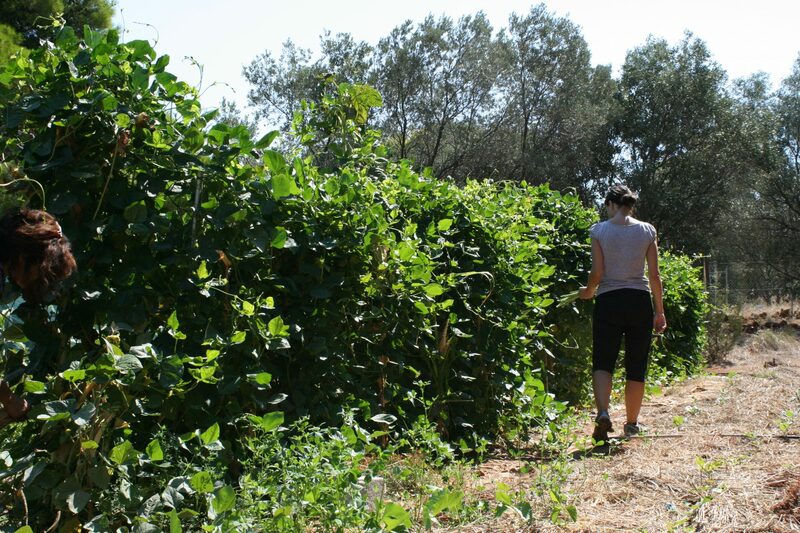 A cultivation site that hosts educational activities on sustainable agriculture, as well as informative events on contemporary social and ecological issues related to food. It is also operating as an experimentation site on different aspects of small scale agriculture such as testing of different composting methods and cultivation techniques, selecting varieties that can adapt better in the local microclimate etc. 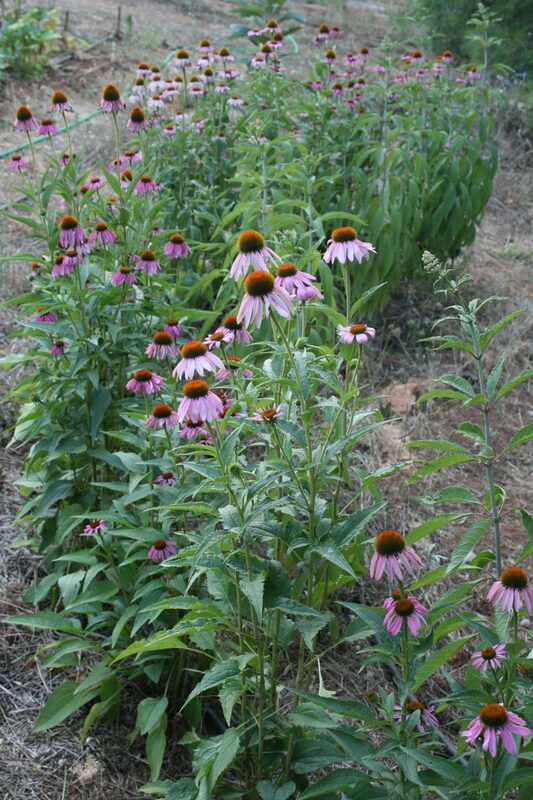 Furthermore, this garden is a live seed bank for the preservation and propagation of local varieties of vegetables. This project consists of a series of specially designed cultivation beds that support educational activities on herbal medicine and herb cultivation as well as informative events on the potential of herbal medicine as a tool for the self-management of health. This garden is intended to be a reference point for the identification and study of different herb species as well as a live seed bank for their preservation and propagation of herbs. This consists of a garden designed for the production of food, in a way that simulates a natural forest ecosystem. 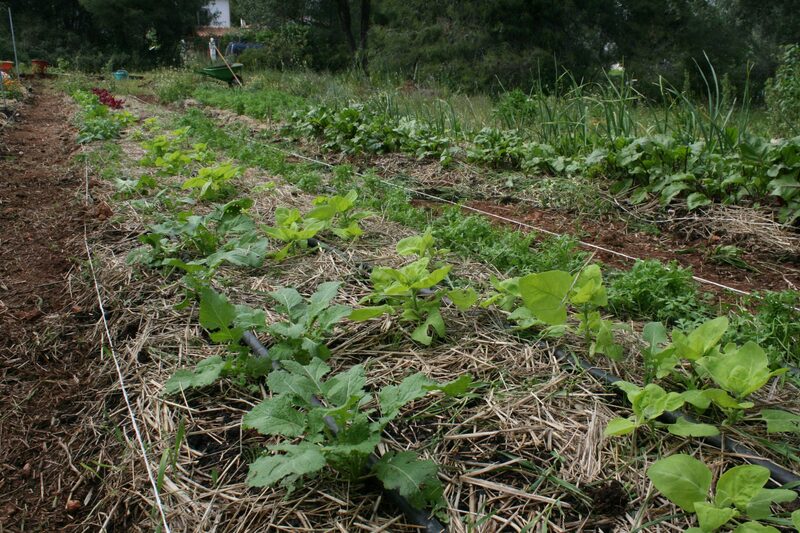 Cultivation takes places simultaneously on three or more different levels and includes fruit trees, shrubs, perennial edible plants and herbs. This garden is intended to host open informative events and educational activities that aim at raising awareness on contemporary environmental issues as well as introducing permaculture principles and design methods for the establishment of sustainable food production systems. 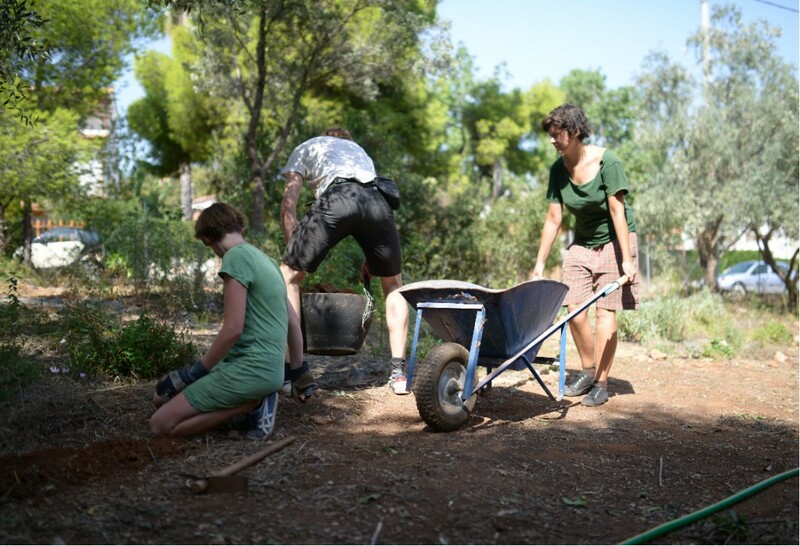 This garden is intended to be a reference point for forest gardening as well as an experimentation site for the development of a Mediterranean forest garden adapted to the micro-climate of Attica. Renewable energy technologies will be a part of the permaculture educational center for providing a more holistic approach to sustainability. The infrastructure that will be installed will have the dual purpose of supporting the educational activities with electrical energy but also to provide a hands on example of how such technologies can be implemented. The solar panel installation will produce electricity from the sun and will satisfy the needs in lighting, cooking and projecting educational material. The participants of the permaculture design courses of Nea Guinea will have the chance to install the off-grid system themselves as a practical exercise. Two compost toilets will be constructed in order to support the educational center during events and working hours. The humanure from these will be used in the gardens after appropriate treatment. The natural building techniques used will include wood working, earth-bags, rammed earth amongst others. This construction will provide a very good training ground for the participants of the permaculture design courses of Nea Guinea. In addition an outdoor kitchen will be constructed in order to cater for the participants during educational activities. 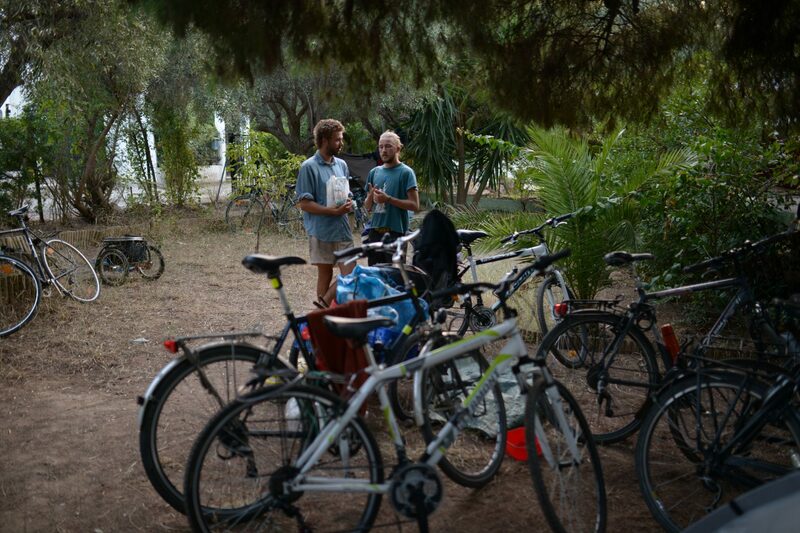 We aim at strengthening our relationships with rural collectives in Greece, which during the last few years are slowly increasing in numbers. The implementation of such infrastructure projects has the dual goal of supporting and strengthening these initiatives and at the same time giving us the opportunity to apply knowledge that we have developed in a larger scale. 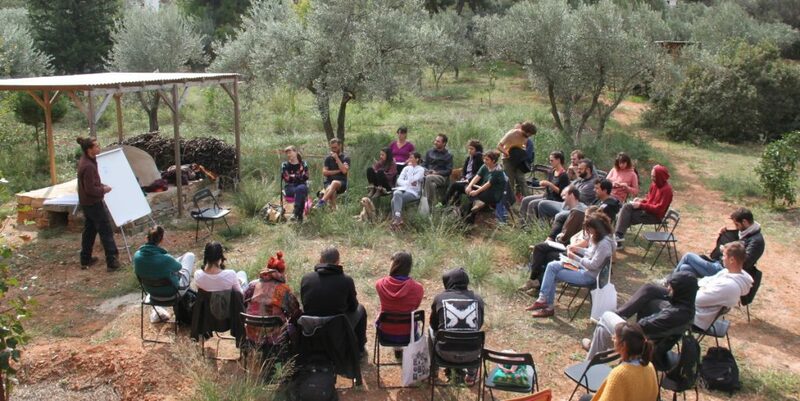 At the same time, through the organization of open workshops the knowledge developed will be shared freely on the topics of renewable energy sources and organic farming. The installations will be conducted at newly formed eco-communities or in the fields of organic farmers who participate in the nation wide networks of local vegetable varieties seed preservation. Since its beginnings in 2009, the workshop has designed and installed more than ten off-grid systems using the energy of the wind, water and sun for electricity production. Specifically, a solar system has been installed in the root top cafe of the ‘Nea Guinea’ building in Athens, the place were most of the workshops take place, and provides electricity for all the events that occur in the roof garden. The solar panels have been built in the workshop by participants in the energy seminars and the installation provides a concrete example of how this technology can be used in an urban context to produce electricity from the sun. In addition, small DIY solar panels of 45W power have been constructed by students in secondary schools, with the assistance of the energy workshop, and have been installed in the schools, in order to produce light for billboards designed by the students. 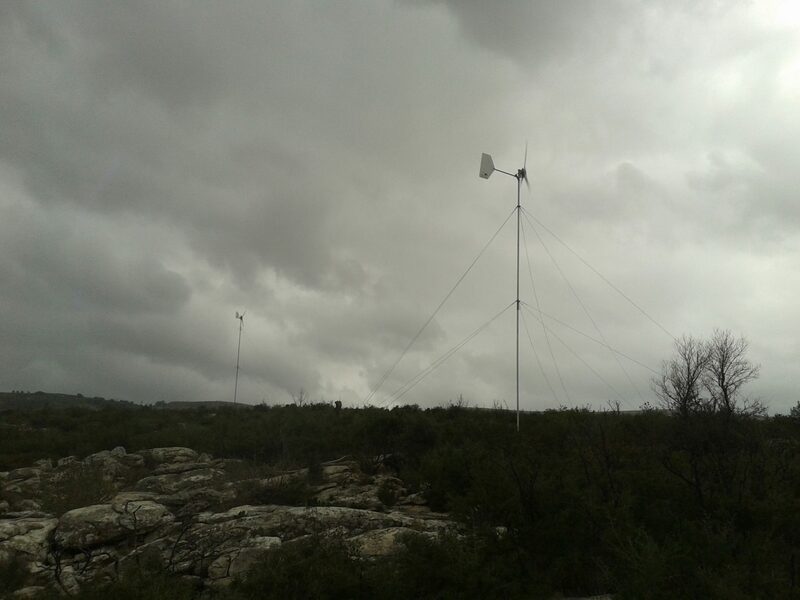 In the rural context, two small wind turbines of 2.4m and 3m diameters have been installed in an eco-community in the suburbs of Athens which experiments in forms of communal leaving and on technologies for production of food at a local level. The community covers its electricity needs completely from the two turbines and some solar panels. 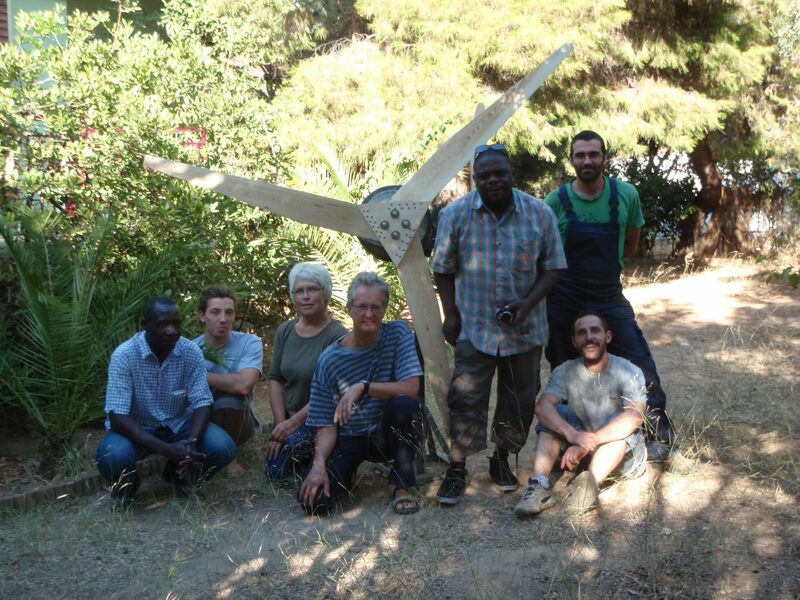 Also, an organic olive producing co-operative in the south of Greece has had its farm house electrified with the used of a 4kW solar panel generator and a 2.4m small wind turbine made in the workshop of ‘Nea Guinea’. The energy workshop undertook the design and installation of the project, thus helping that energy resilience of the community. 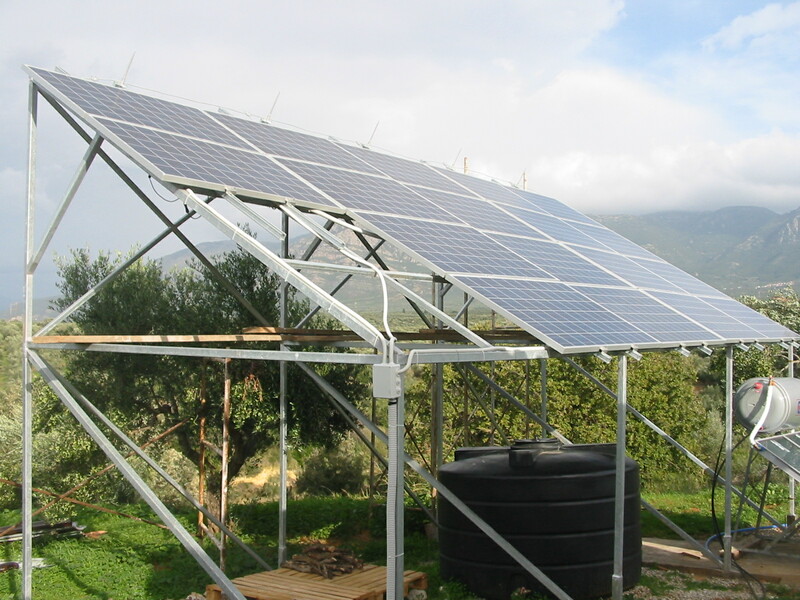 Finally, a solar pump of 750W nominal power was installed in western Greece, in the island of Leukada, to pump irrigation water from a well to the organic farm of a small community of people who participate in a nation wide seed saving network. All of the above examples are parts of a larger project of the energy workshop, to provide electrification services to communities in degrowth and educational initiatives, with the use of open source technologies.